South Carolina Dental Hygienists' Association has partnered with CE Zoom for the distribution of CE Certificates. The South Carolina Dental Hygienists' Association would like to invite you to our 26th Annual Dental Hygiene Symposium. This year's symposium promises to be one of our best yet! We are excited to have our first paperless symposium. All registrations, payments, and CE certificates for Symposium 2018 will be handled online through our partnership with CE Zoom. Signing up for an account and making a profile is easy and, once you have your account, CE Zoom can help you organize and track your continuing education credits. Ultralight Optics * Patterson Dental * Dental Tease * Hu-Friedy * GSK * Orascoptic * Johnson&Johnson * Cetylite * Atlanta Dental * Jack's Dental Depot * Henry Schein * Young Dental * Premier * Heartland Dental * Waterpik * Brassler * and more to come! Our sponsors and exhibitors have generously donated door prizes, auction items, and samples. *A $30.00 LATE FEE WILL BE ADDED TO THE ONE AND TWO DAY PASSES AFTER SEPTEMBER 26, 2018. *THIS IS A LICENSE RENEWAL YEAR* And as such, the symposium committee has taken care to schedule courses that meet licensure requirements. We have included an infection control course on Saturday, October 6th and a limited attendance CPR course will be available on Friday October 5th ( for an additional fee, under special events). *STUDENTS* Your registration includes the featured courses on Friday and Saturday and the Student ADHA meeting on Friday afternoon. The South Carolina Dental Hygienists' Association will be providing light snacks during the Student Meeting. You are welcome to purchase the lunches that are available during the Symposium's lunch meeting on Friday and the Lunch course on Saturday for an additional $25.00 each. We would love to see you at our Friday night President's Reception and Auction! A wonderful chance for networking and fun plus the chance to bid on some great dental hygiene products that make practicing easier! *SPECIAL LUNCH AND LEARN (1 CEU) EVENT* On Friday, enjoy a NEW PRODUCTS lunch and learn with SCDHA and learn about new products from Q-Optics, Brasseler USA and GSK. You will also get a chance to observe our SCDHA meeting as we finish our end of year business. This is also a "must attend" if you want to stay informed with the state of dental hygiene in South Carolina. Tricia Osuna (Q-Optics), Brenda McCarson (Brasseler USA) and Darius Hill (GSK) will all be presenting and speaking about new products from their respective companies. We are looking forward hearing about exciting new innovations and products. Are you curious what the South Carolina Dental Hygienists' Association does for the dental hygienists in this state? Examples of discussion will be changes to the practice act, policies and legislation pertaining to the scope of practice for dental hygienists in South Carolina. We have arranged for a wonderful hot lunch buffet, which is sure to please everyone's taste, to be available for purchase and will be meeting in the Symposium main event room. There will be time to enjoy your meal while listening to the 1 hour continuing education course and the brief SCDHA business meeting following it. No rushing around looking for a lunch place, hoping you’ll be done in time. No searching for another parking space. If you want to be an informed about the hottest new products from these companies and be an involved South Carolina dental hygienist and not rely on what you "read in a Facebook group", this is the event for you! This course and luncheon will be an extra $25.00 charge. · Jenny Price, RDH ( Special Needs RDH in a Facility Setting). Their experiences and journeys will be discussed during this lunch and learn worth 1 CEU. We encourage every hygienist who has ever thought about working "outside the op" to come! This course will be an additional $25.00 fee to the symposium 1 or 2 day registration fee and includes the catered sit-down luncheon. *CPR* Richard Harvey will be offering a limited attendance CPR course on Friday afternoon, a box lunch option will be offered for purchase during this course. This course will be an additional fee to the symposium 1 or 2 day fee. The boxed lunch will be available for purchase during registration. Both will be found under the "Special Events" portion of registration. 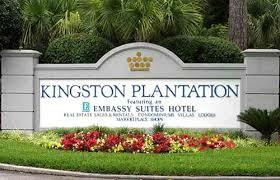 Please be sure to stay for our Annual President's Reception and Auction on Friday. The auction, as always, will have great baskets and individual items. In the past, offerings have ranged from wine, to jewelry, to beauty baskets, to amazing dental hygiene products! Both a live and silent auction, get ready for some friendly competitive bidding. Grab a drink at the bar, enjoy some light hors d'oeuvres and be ready to mix, mingle and bid! As we witness a changing trend in healthcare delivery in our country, it is evident that the dental hygienist plays an integral role in their patient’s overall health. The hygienist stands on the front line in advocating prevention, esthetics and therapeutic advances. This program will highlight the potential skills necessary to adapt to that changing model as we explore alternative approaches to treatment settings, changing demographics and advancing technologies. Participants in this course will recognize the need for skills in risk assessment, advanced instrumentation and technologies while implementing these skills in the dynamics of their evolving practice settings. Brainstorm potential opportunities and alternative career paths for a hygienist. Discuss and implement an effective disease risk assessment for patients of all ages. Explore the need for diagnostic technologies and best practice screening systems. Recognize where new technologies and emerging products can enhance treatment outcomes. Discuss current recommendations in maintenance of implant patients. Demonstrate effective supervision skills in patient’s desire for teeth whitening. Lillian Caperila is a licensed, dental hygienist and her professional career has spanned 40 years to include assisting, clinical practice dental hygiene, university instructor and currently a professional educator. She has provided well over 400 seminars in the United States and over 65 programs among her international colleagues. With a master’s degree in education from Penn State University, Lil has utilized her higher education to expand opportunities in global education and corporate training at Premier Dental Products Company. Lil is a Past- President of the Pennsylvania Dental Hygienists’ Association and continues to be very active with PDHA and ADHA in their efforts to increase membership, career planning and professional leadership. Lil is the 2010 national award recipient of the ADHA Irene Newman Award in Professional Achievement. In 2009, the Board of Trustees of Montgomery County Community College selected Lil as one of five inductees to the college hall of fame! In 2014, they selected her to be one of the “Fabulous Fifty Alum” as the college celebrated its 50th year. Enjoy a leisurely on-site lunch while learning about new products and observing a business meeting conducted by SCDHA. The New Productions Presentation 1 CEU course will feature Tricia Osuna of Q-Optics, Brenda McCarson of Brasseler USA and Darius Hill of GSK. If you have ever wondered how your association works for you or have ever been interested in becoming involved in the dental hygiene association, this is luncheon is perfect for you. A hot buffet lunch will be served. A stress-free, informative lunch! The concept of “motivational interviewing” is now recognized in oral healthcare as becoming the best practice in “guiding” our patients in making positive changes in their health and lifestyle behaviors. By eliminating those prior tactics of judging or forcing our patients to make changes, we are now embracing a more effective “patient-centered approach to coaching. Our clients will embrace positive changes only if they can see the value for themselves. Lil will walk the audience through the key principles that underscore the process of using motivational interviewing techniques in our workplace. The video clips and interactive discussion brings about a productive environment for learning this concept while having fun during the seminar. Discuss the stages of MI practice using the concepts of D.A.R.N. Carol Jahn, RDH, MS has a BS in dental hygiene from the University of Iowa and an MS in Continuing Education from the University of St Francis. She has been a dental hygienist since 1982. Currently, she is the Director of Professional Relations & Education for Water Pik, Inc. Does it seem as though more and more patients of all ages have a complex medical history? It is estimated that 3 in 4 adults over age 65 and 1 in 15 children suffer from 2 or more chronic medical conditions. Rising rates of obesity and a sedentary lifestyle is prevalent in all age groups. It contributes to the early onset of disability and many chronic conditions including heart disease, type 2 diabetes, arthritis, and asthma. This course will empower you understand and feel confident caring for all age groups. A round table discussion featuring 4 dental hygienists who have stepped out of the traditional private practice operatory and into alternative clinical settings. We will be highlighting dental hygiene related business owners, working with geriatric and special needs populations, starting school-based programs, corporate sales representatives, mission work, and education. The speakers will discuss their journeys and roles in these alternative settings, inspiring us all to "look outside the op"! Known as “AndyRDH” has been a leader in helping students pass the dental hygiene National Board exam for fifteen years. He was selected as the 2013 Sonicare National Mentor of Distinction and lectures to students nationally about how to conquer the Board exam and transitioning from hygiene school to starting a professional career. He also founded and operates both the AndyRDH and Dental Hygiene Life group on Facebook with over 25,000 hygienists and hygiene students which is the largest and most active Dental Hygiene Facebook group in the world. He also created DentalTease.com – dental hygiene apparel and more, as well as DentalRentals.com and several hygiene review apps. Recently, he also started Dental Hygiene Academy, Inc. which is a Dental Hygiene National Board review company with seminars in six cities nationwide. Clare Van Sant was the first SC hygienist to own a practice devoted to dental hygiene care in the longterm care setting. She received her B.S. in Dental Hygiene from Augusta University, and her professional experience includes public health, clinical periodontal therapy, pedodontics, community oral health educator and advocate for improved dental health for SC's aging population. 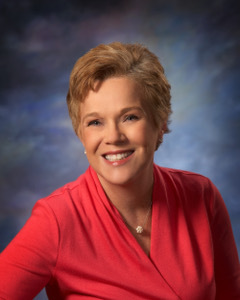 Dr. Milejczak began her dental career in 1980. She has served as a chairside dental assistant, front desk assistant, office manager, dental hygienist, and an educator. She have enjoyed using her dental skills to promote oral health in underserved areas around the world. I have participated in humanitarian dental experiences in Kenya, Romania, and Tanzania. Dr. Milejczak have recently retired as the Allied Dental Education Programs Director at Midlands Technical College. Jennie chose Dental Hygiene as a profession 41 years ago. " 'WOW! she says, over half of my life; but the last 11 years have truly brought me the most joy!' " Ms. Price is employed by the South Carolina Department of Disabilities and Special Needs. She provides dental hygiene services to the Residents of Midlands Center(Columbia) and Whitten Center(Clinton). Her expertise in the field, will give insight and options for treating the "special needs" community. Jennie will be the first to tell you, " ' there is no power point; 'I shoot from the hip' and it all comes from the heart!' " "I am honored and excited to tell you about whom I serve and what I love about my profession! Let's have some FUN in the sun!" accordance with the CDC guidelines. safety and efficiency of instrument processing. of water that you deliver to your patient. Named one of the Top 25 Women in Dentistry for 2014 by Dental Products Report, Lori Paschall is a Past President of the American Dental Assistants Association. Lori is a Regional Account Manager with Hu-Friedy Manufacturing Company, one of the world’s leading dental instrument companies and continues to educate dentists and their teams by providing detailed information regarding instrumentation and the proper procedures for their sterilization and infection control, has provided practices with yearly required OSHA Bloodborne Pathogens training and has consulted with dental practices wishing to help their assistants to perform at a higher level. 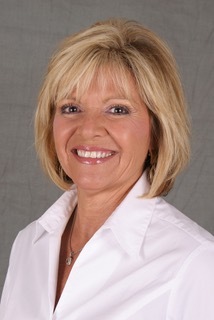 Lori has been a practicing dental assistant for more than 30 years. She is a Certified Dental Assistant, a Certified Preventative Functions Dental Assistant, a Certified Restorative Functions Dental Assistant and a Fellow of the American Dental Assistants Association. In addition to her experience as a clinical dental assistant Lori has spent several years teaching dental practice management skills to dentists and their teams. Lori has been very active in South Carolina dentistry, serving as a planning team member of the SCDA Dental Access Days Project. She is active in her professional organization, the American Dental Assistants Association and serves an active role in her local and state organizations. Lori is a past president of the Columbia Dental Assistants Society and the South Carolina Dental Assistants Association.